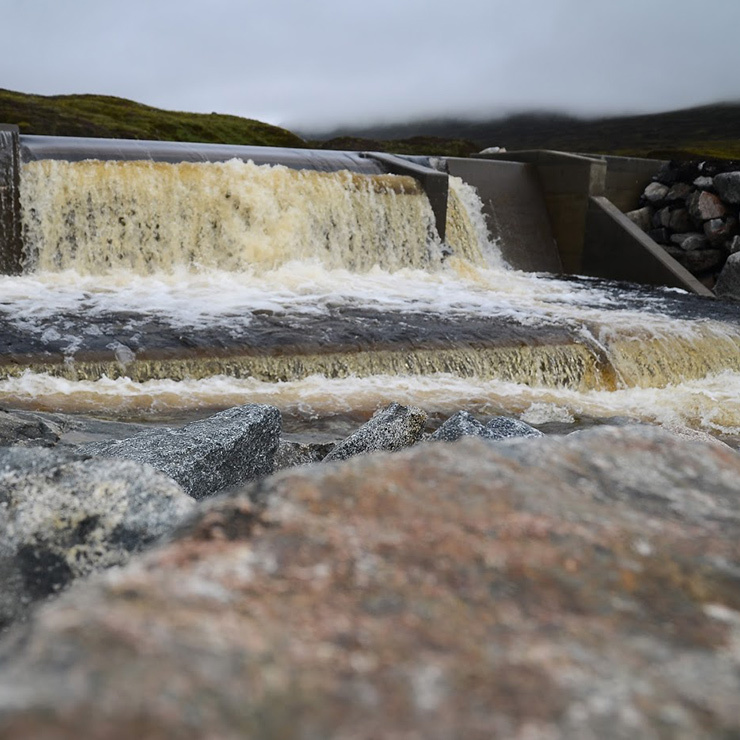 To secure Corrour’s sustainable future, we have built four hydro-electric schemes. They will provide green electricity for the next 50-plus years, for Corrour and c2000 homes, via the National Grid. 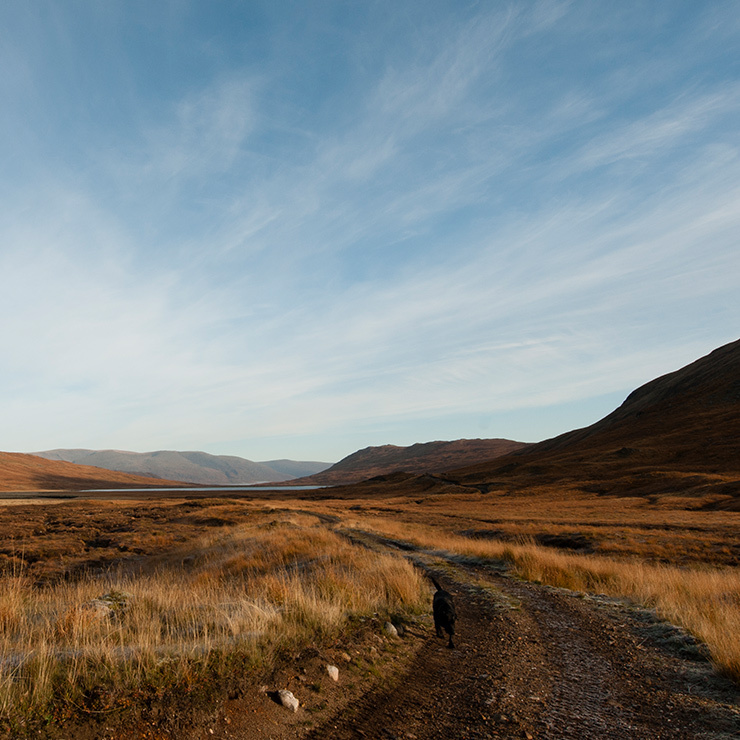 We have designed the schemes to have minimal impact on Corrour’s exceptional Highland landscape. The Scottish Environmental Protection Agency (SEPA), Scottish Natural Heritage (SNH) and Highland Council Planning Department rigorously scrutinised our proposals. We also consulted widely with local communities. All four schemes are ‘run-of-river.’ A small weir is built upstream, from which a large diameter pipe extracts some (but never all) water from the burn, and feeds it through a downstream water turbine, to produce electricity. The water is then discharged back into the burn, below the power house. 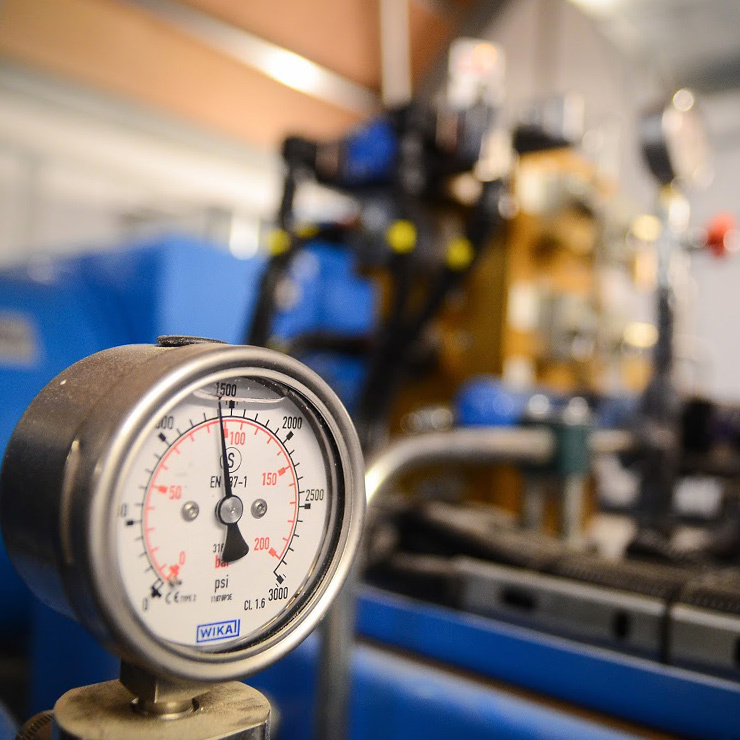 The amount of water that we extract is controlled, and monitored by SEPA, to ensure minimum disturbance to aquatic flora and fauna. At times of low flow the system shuts down to ensure water keeps running in the burn, preserving its natural characteristics. Weirs – small concrete structures built into the river. We will blend them as much as possible into their surroundings. Powerhouses – these buildings are downstream, and house the turbine and electrical kit. We have spent a lot of time designing them, and through careful use of traditional materials – lime mortars, rough stone and Ballachulish slates – we hope to create traditional Scottish buildings that look natural in the landscape. Roads and Tracks – we need new access tracks and buried pipelines. The access tracks are permanent, but once construction is completed, we will reduce their width down to ATV (quad bike) width. This will leave us with a network of high-quality walking paths. We will bury the pipelines and reinstate the earthworks on completion. Weirs are small concrete structures built into the actual river. They will be blended as much as possible into their surroundings. These buildings will be at the base of the scheme, and will house the turbine and electrical equipment. We have spent a lot of time designing these particular buildings, and through careful use of traditional materials – lime mortars, rough stone and Ballachulish slates, we believe we can create vernacular looking buildings that form a natural part of the landscape. A number of new access tracks will be required, together with buried pipelines. The access tracks will become a permanent feature, but is our intention, once construction is completed, to reduce the width of these tracks back down to ATV (quad bike) width. This will leave us with a network of high quality walking and trekking paths and routes. The pipelines will be buried, and the earthworks reinstated upon completion. This will then re-vegetate and within a short period of time, will be very difficult to pick out on the hill side.